Hi, I am Nova. 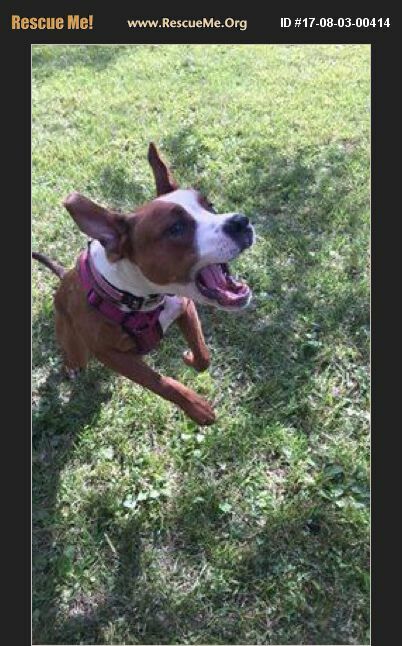 I am an approximately 10-month-old Boxer mix. My foster mom calls me crazy b/c I am full of personality & energy. I love food, treats, & love playing with my foster sisters. I am looking for my forever home with other dogs that I can romp around with & play but I must have room to run preferably a huge fenced in yard & an active family. Spayed, UTD on vaccines, microchipped, crate trained, and house broken. Nova loves other dogs of all sizes but is too curious about cats. She loves people! Nova is being fostered near Columbus, OH.